I like doing things by the dozen. Dozen was one of the first “shortcut” words I learned. A dozen is a shortcut for saying the number twelve, my mother said. I wasn’t sure why it was a shortcut since it took the same amount of time to say one as it did the other. My itty bitty self was “whatev” with these grownups and their ways. Still “dozen” was a fun word to say with that zippy “z” in the middle and I wore my poor mother out with my dozen cheerios, dozen socks, dozen hairbands. I still like dozens. 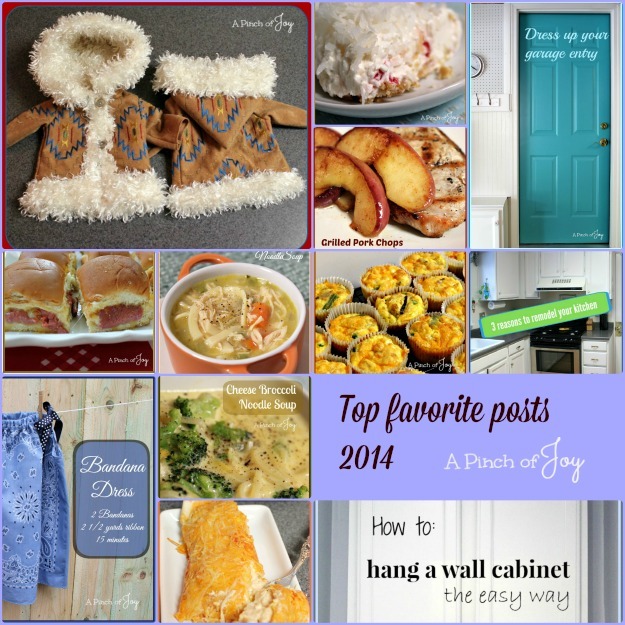 . . so here ya go: the dozen top posts from 2014. Share your favorites — pin, stumble, whatev. . . .
12. 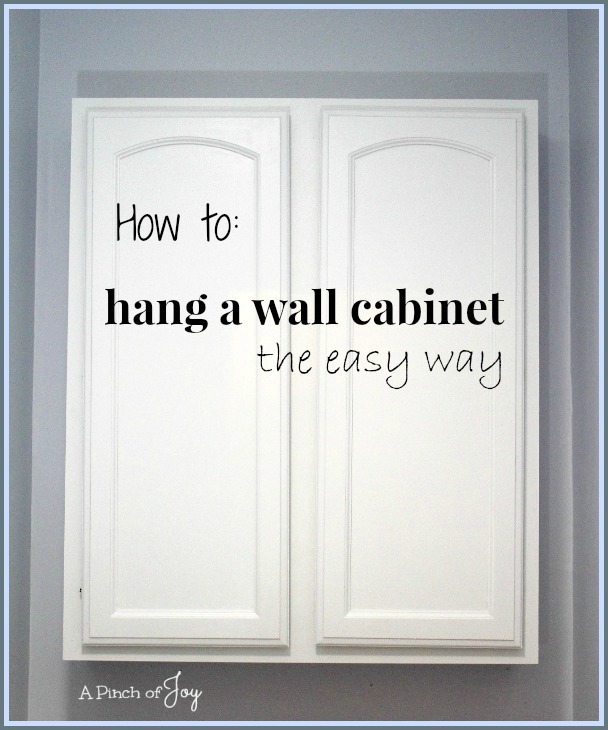 How to hang a wall cabinet — I found a great wall cabinet for the master bath for just $5! Hanging it was a snap. 11. 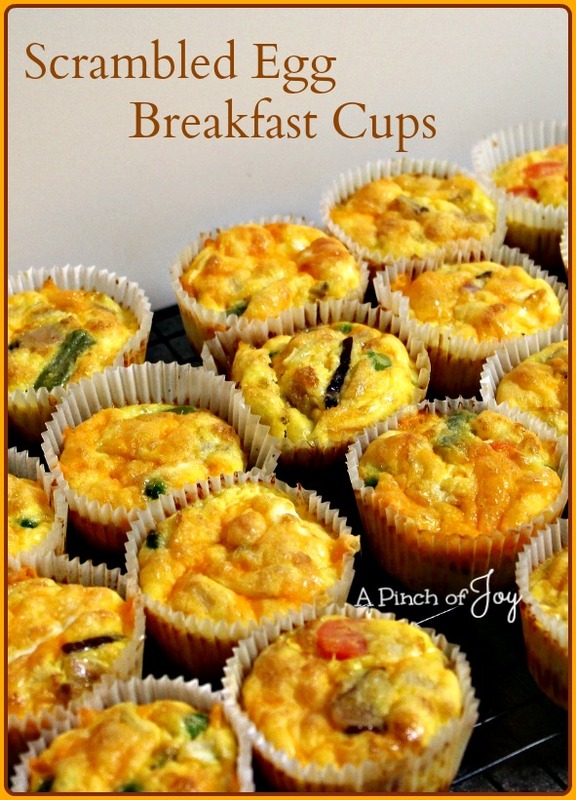 Scrambled Egg Breakfast Cups — A quick, tasty and healthy breakfast to make ahead! 10. 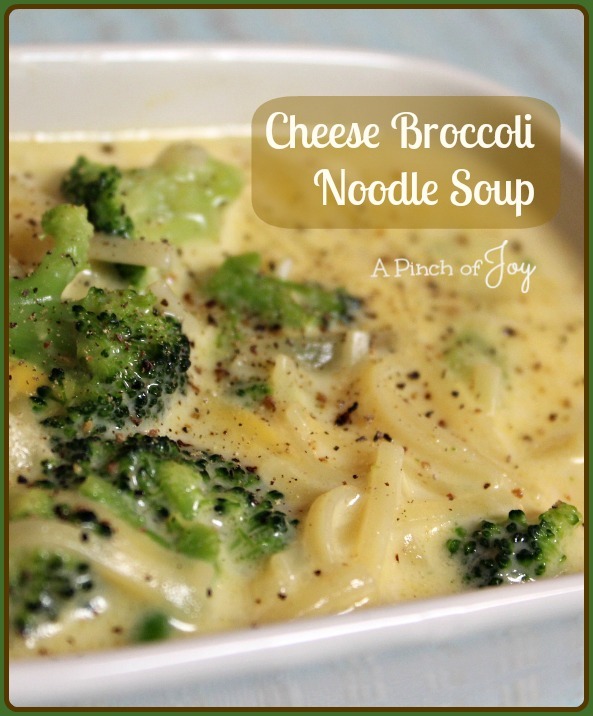 Cheese Broccoli Noodle Soup — A filling, delicious hot meal in a dish with noodles, cheese and broccoli. 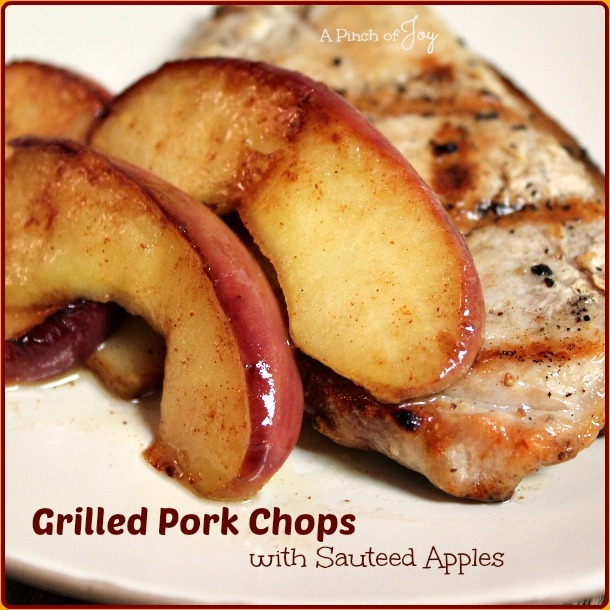 Quick and easy — done in about twenty minutes. 8. 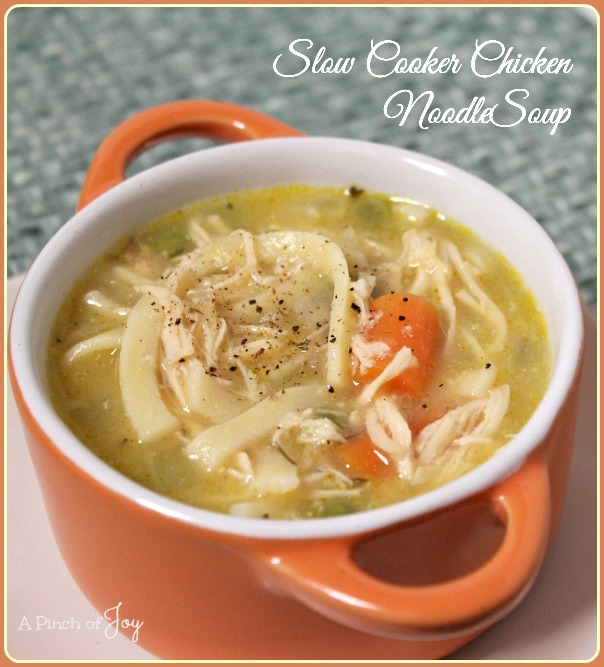 Slow Cooker Chicken Noodle Soup — Simple, delicious, filling, nutritious, warm goodness! 5. 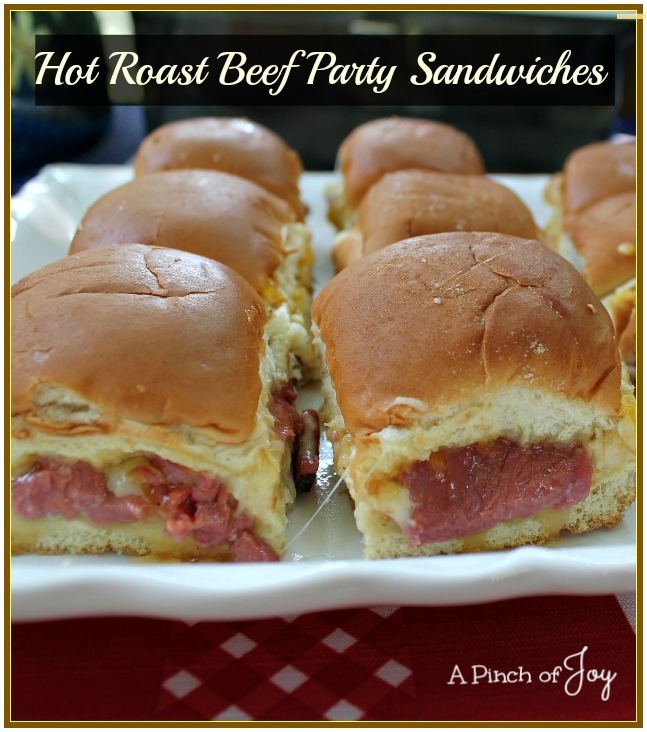 Hot Roast Beef Party Sandwiches — Sweet and savory addition to the party table, a hot sandwich that pleases everyone! 3. 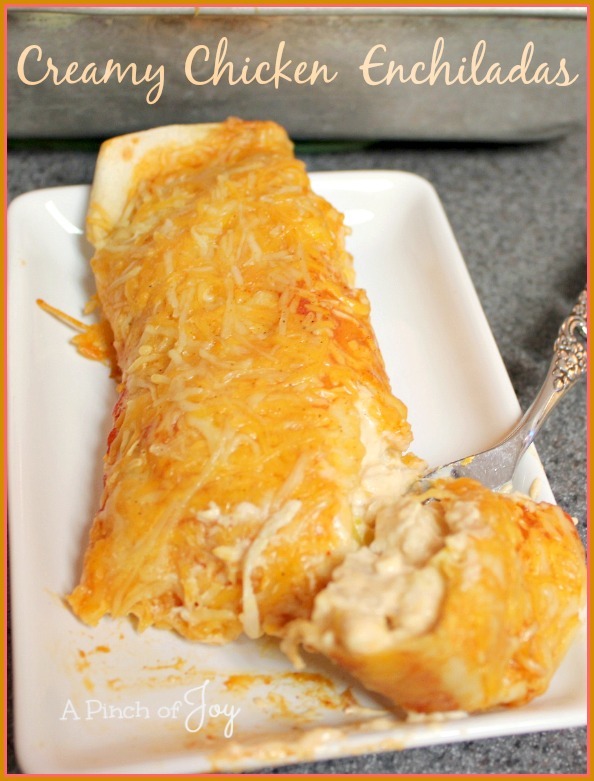 Creamy Chicken Enchiladas — just slightly spicy and comfort food filling. 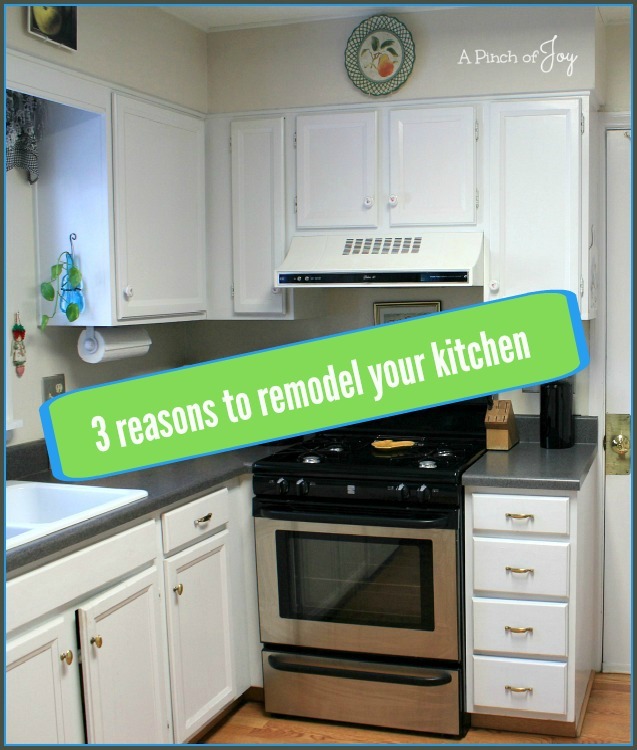 Easy to make is a bonus! 2. 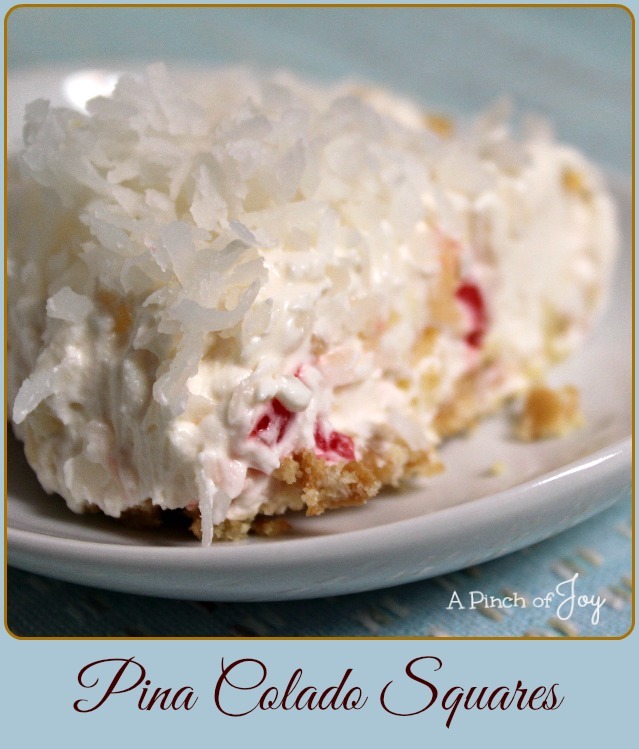 Pina Colada Squares — All the tropical goodness of pineapple and coconut in a super smooth no-bake dessert! Number 1 How to Make a Parka for 18″ Doll with pattern I almost did not post this because I thought I was the only one who would make a parka for a doll! Thanks to everyone who pinned! 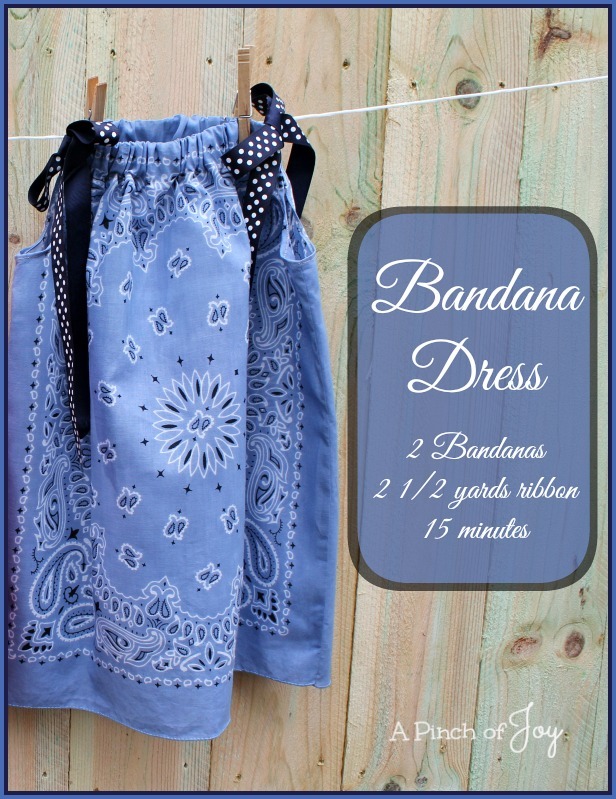 I hope you enjoy making it and the littles who receive it have fun with it. I’m so glad you stopped by today! Be sure to follow A Pinch of Joy so you don’t miss a thing! 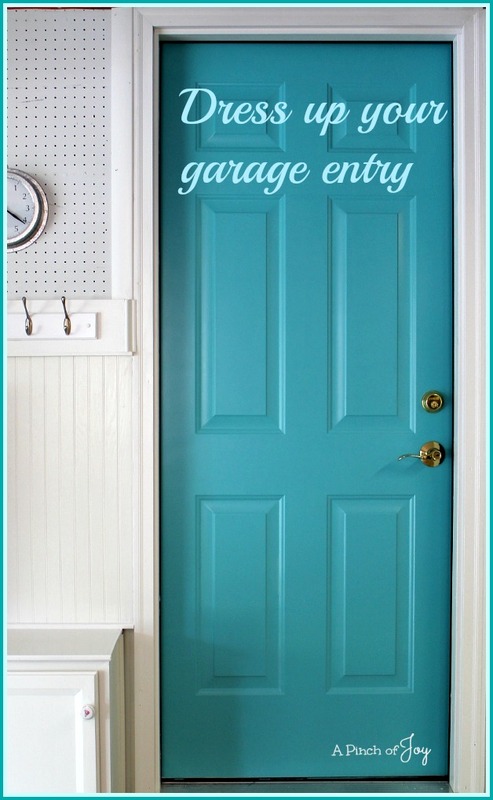 Subscribe by email on the sidebar or follow on Facebook, bloglovin’ twitter and check out my pinterest boards. If you found this helpful or inspiring please share below! Your support of A Pinch of Joy is appreciated! Thanks so much for your visit and heartfelt words about My One Little Word for 2015!! The first thing that i need to do is learn to say No! I am trying to wait longer for my knee surgery because at the age of 56 y/o, i will be looking at having it done again in 15-20 years and I really want to do it only once!! LOL! !